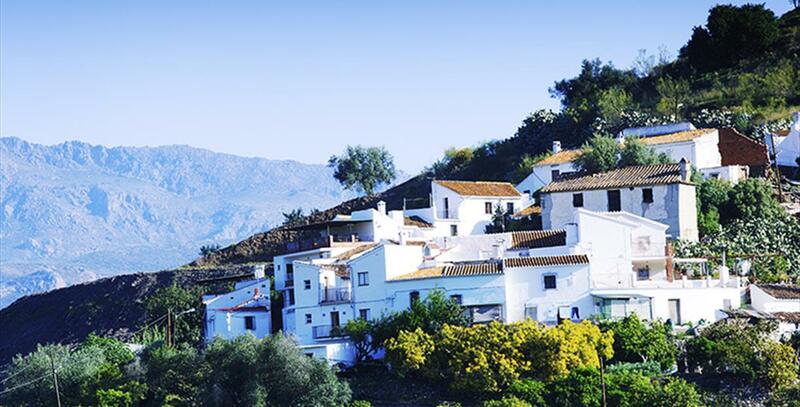 The town of Canillas de Aceituno extends along the slopes of the Sierra Tejada to the La Maroma peak, the highest in the province of Málaga. 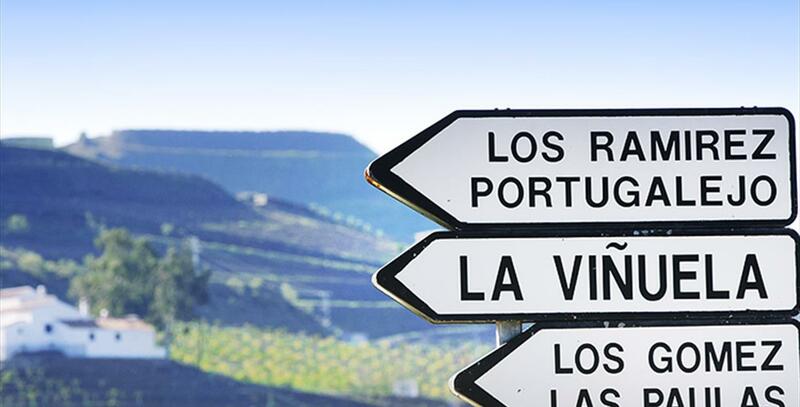 For its location alone, this town in the Axarquía region, is the perfect place to enjoy both nature and culture. Founded in the Al-Ándalus period, the town conserves its Arabic roots through the layout of its streets and various interesting architectural sights. This historical legacy means Canillas de Aceituno forms part of the Mudéjar Route, which has been declared of Tourist Interest in Andalusia. When walking through the town one can see the Casa de los Diezmos o de la Reina Mora, which sports a tower with blind twin arches. The building, an example of the area's typical Mudéjar architecture, was the place from which the silk worm and mulberry leaf trade was overseen. Another example of the town"s historical architecture is the Casa Esgrafiada. It was built in the 16th century and is decorated with Moorish motifs and horse shoe arches. The building also boasts a lookout tower erected in the 17th century. Canillas de Aceituno has various reservoirs, showing the importance of water in the Axarquía regional town. El Aljibe Árabe o Medieval is from the 16th century and can be found on Huertezuelo street and more modern examples include El Pilar Grande and El Chico. The church of Nuesta Señora del Rosario y San León Magno dates back to the 16th century and is in a Gothic-Mudéjar style. It can be found in the higher part of the town and from its terrace one can take in the countryside. Its interior has two Baroque chapels and an image of the Virgen de la Cabeza with various valuable silver plated features, as well as other interesting pieces of artwork. Its exterior features include the main tower. From the viewpoint of the castle, and the top of the Calzada street, you can see the ruins of the fortaleza de Canillas de Aceituno. Occupied by the Christians during the Reconquest of 1487, some remains of the wall of the original complex fortification that used to protect the town, are conserved. There are 54 kilometres between Málaga city and Canillas de Aceituno. By car, the quickest and shortest way to get there is along the E-15 road. Take the exit 272 then follow the A-356 then the MA-125 towards Canillas de Aceituno. The other option is to take the A-45 then the A-356 until you reach MA-125 which you then follow until you get to the town. The second option adds around twenty kilometres to the journey. The town of Canillas de Aceituno extends into the Natural Park of Sierras Tejeda, Almijara and Alhama, which offers a countless number of attractions. This protected area has enclaves of outstanding natural beauty within its nearly 40,670 hectares, which are perfect for climbing, trekking, potholing and hiking. There are three routes that take you to the most stunning areas on foot. Routes that go through forests, cane stalks, streams and breathtaking rocky areas. 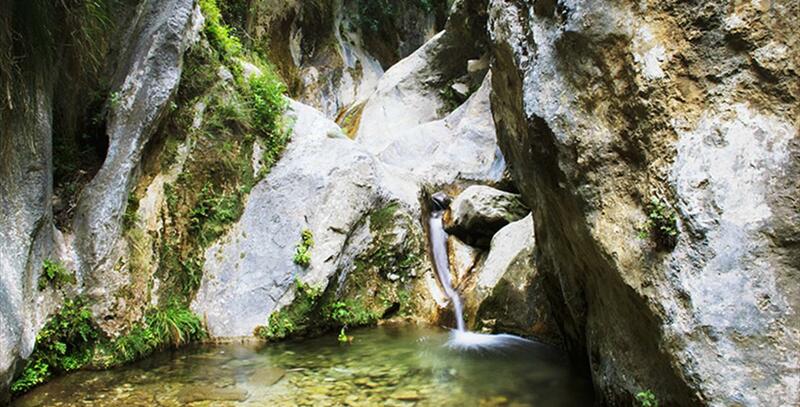 Among the various natural sights there is the River Almanhares Gorge, the Fájara cave, the El Castillejo area and the source of the River Bermuza. 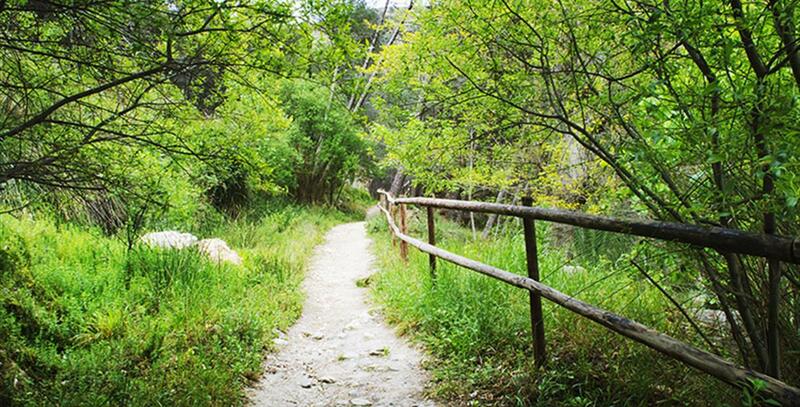 A very recommended route is the Neveros trail. The route takes you to the highest peak in the province of Málaga, La Maroma, which reaches a height of 2,066 metres. The same path used to be used by people transporting snow from the mountain tops of the sierra to the coast. Although Canillas de Aceituno celebrates different festivals all year round, there are three main dates in the local calendar: El Día de la Morcilla, La Romería de San Isidro and La Feria de Nuestra Señora de la Cabeza. The Día de la Morcilla, which has been declared as a Festival of Tourist Singularity, is celebrated in April and coincides with the festival of the Virgen de la Cabeza. A religious festival and a tasting session of black pudding accompanied with bread and wine are the central activities of the event. Romería de San Isidro, in May, starts with the removal of the Saint to the Lomilla area. During the day paella is offered (the famous Spanish rice dish) to those in attendance and popular local games are organised like carreras de cintas (a game involving ribbons and a horse) and rotura de pucheros (the player is blindfolded and must hit items that have been strung up before him). The Feria de Nuestra Señora de la Cabeza takes place the second weekend of August. The Virgen comes out in a procession and the event is celebrated with an infinite number of activities, amongst which is the Noche Flamenca, which has various acts. The star dish of Canillas de Aceituno is the morcilla canillera (a meat based dish), cooked with onions. Other favourites include: chivo al horno o en salsa de almendras (goat roasted or served with an almond sauce), gachas puercas (gachas served with pork products), potaje de hinojos (fennel stew) and olla (a succulent meat, vegetable and chickpea stew). Other specialities in the local recipe book are migas (breadcrumbs fried with garlic and served with cold cuts), ajoblanco (a cold soup made with almonds, garlic and morsels of bread) and gazpacho con uvas moscatel (a tasty pairing with the universally known cold tomato soup). Roscos tontos (a type of bread based sweet), torta de aceite (oil cake), and roscos de vino (sweet bread made with wine) are the most representative sweet foods of the town in the Axarquía region, whose wine is also very typical. Canillas de Aceituno was founded in the times of Muslim Spain, but traces have been found of primitive settlements in the natural area of La Fájara. Furthermore, the village sits next to Boquete de Zafarraya, which has connected the hinterland with coastal areas since the dawn of time, probably attracting civilisations like the Phoenicians or the Romans. In Muslim times, the village was called "Canillas Azzeitún" and belonged to the kingdom of Granada. It is not known when exactly it was taken over by Christian troops. In the sixteenth century, a man called Al Muezzin came to town looking for his wife, who was a slave in a Christian household. He led the riot that ended with eight Christians being killed. As a response, the authorities in Vélez had the Muslim leaders sent to prison, tortured and deprived of their belongings, but this only made the rebels stronger. Once stifled, the Moors were expelled and their castle destroyed by order of King Philip II. Christian men and women came from Archidona,Antequera, Lucena, Cabra and Andújar to repopulate the village. The people from Andújar, a town in Jaén, brought with them the cult of Virgen de la Cabeza. The Parish Church of Nuestra Señora del Rosario and San León Magno began to be built in the sixteenth century. Pillaged by the French troops in 1840, Canillas de Aceituno lost part of its religious treasure. Then, from 1865 to 1878, the vineyards fell victim to phylloxera. Cholera and famine ensued. On 25 December 1884, an earthquake whose epicentre was in Arenas del Rey, Granada, took several lives and hundreds of buildings. A few weeks after the disaster, King Alfonso XII visited the village. During the Spanish Civil War, Canillas de Aceituno was within the Republican zone, later occupied by Spanish and Italian fascist troops. From 1939 to 1955, it witnessed the action of anti-Franco resistance groups or maquis, operating in Sierra Tejeda. In the 1960s, the town was decimated by migration, but its centuries-old customs and traditions remained unchanged. In the past few years, tourism in the hinterland experienced significant growth, and Canillas de Aceituno has been part of it, courtesy of its strong network of country hotels and its attractive natural resources.